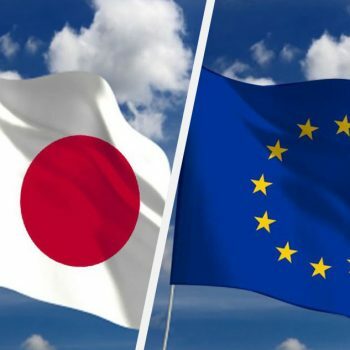 Japan’s leading wine importers and retail stores have slashed prices for imported wines as the free-trade agreement between Japan and the EU officially came into effect on 1 February. Retailers in the country including supermarkets Aeon Co., FamilyMart Co, and wine importers such as Suntory and Asahi Beer’s importing business, have cut prices on wines in line with the elimination of a 15% tariff (or 125 yen per litre) imposed on European wines. The Economic Partnership Agreement signed in July last year is projected to generate an economic benefit of around ¥5.2 trillion (US$48 billion) and create about 290,000 jobs for Japan, according to media reports. Aeon Co. Japan’s biggest supermarket chain reduced prices on 330 wines by an average of 10%, and FmailyMart plans to cut prices on 14 of its imported European wines by up to 17%. Earlier, Suntory Wine International, which manages wine business under Suntory Group, has announced that it will cut prices for 69 categories of imported wines from the EU with discounts ranging from 1% to 11%, starting with shipments on 1 February, according to Nikkei Asian Review. Suntory Wine International owns its own Japanese winery Tomi no Oka and also three Bordeaux estates, namely Château Lagrange, Château Beychevelle and Château Beaumont. Asahi Beer has also announced price cuts for 40 different imported wines in its portfolio. These imported EU wines will receive discounts from 4% to 17%, according to another report by Japanese media NHK News. The EPA will abolish about 99% of the tariffs on Japanese products sold in the EU, while 94% of tariffs on European exports to Japan will be scrapped initially, before expanding to 99%, starting from 1 February.